My mother started me in hula classes when I was five, and I've loved the hula and the stories of Laka, the goddess of the dance, ever since. 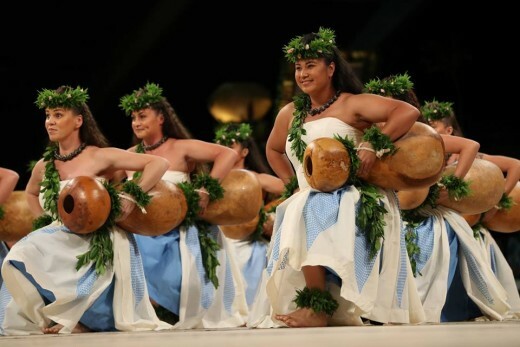 The Merrie Monarch Festival is by far the premier celebration of hula held anywhere in the world. With over 50 years of festivals under its belt, the committee really knows how to put on a great show! In spite of its humble beginnings in the charming seaside town of Hilo on the Big Island of Hawaiʻi, the Merrie Monarch Festival has grown to become the island's biggest event of the year, and people from all over the globe tune in to watch it on TV and catch live streams online. Hula is an integral part of the culture of Hawaiʻi, and as the saying goes, "it is the heartbeat of the Hawaiian people." This is because hula isn't just a dance; it is a taming or disciplining of one's body, mind, and spirit. It often takes years of training within a hula hālau (hula school) to become a Merrie Monarch dancer. Read on to find out more about the one golden week each year when the hula world comes alive in Hilo Town. Lots and lots of hula! And so are the men! 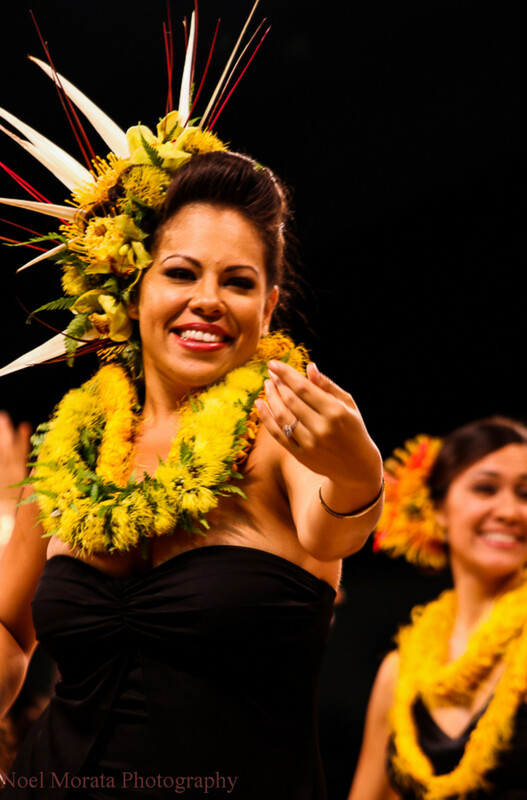 Have you ever been to the Merrie Monarch Festival? No, but I'm more interested now that I've read about it. 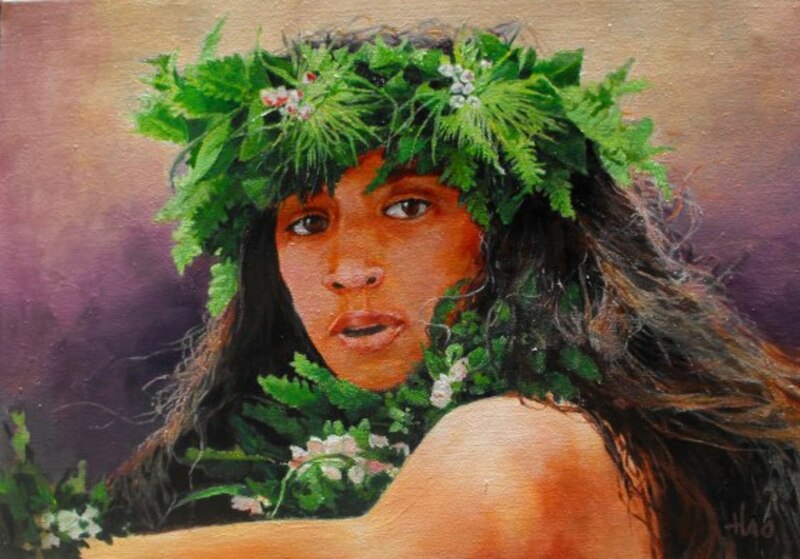 Laka, Goddess of Hula, Painting by Henry Ha'o. Laka was also known as the goddess of wild plants that grew in the forest. 1. Lots and Lots of Hula! 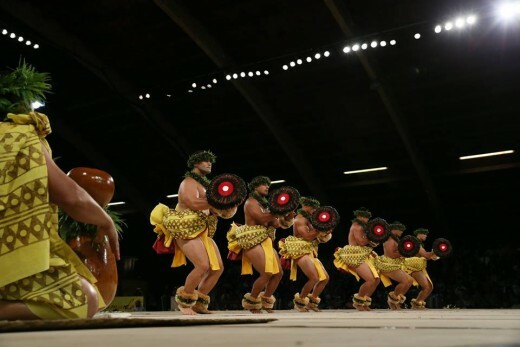 At the Merrie Monarch Festival, two types of hula are showcased—hula kahiko and hula ʻauana. Hula kahiko is the ancient hula that is danced to chants without the use of modern instruments such as ukulele or guitar. This is true hula in action. The chants are often about Hawaiian deities, the power of nature, and respect for life. It is a powerful form of hula and is a strenuous workout that burns off serious calories! Hula ʻauana is the modern hula that most people are familiar with. With contemporary costumes and accompanying instruments, the songs of hula ʻauana are a blend of time and place. Some songs are sung in English and others in ʻŌlelo Hawaiʻi (Hawaiian). 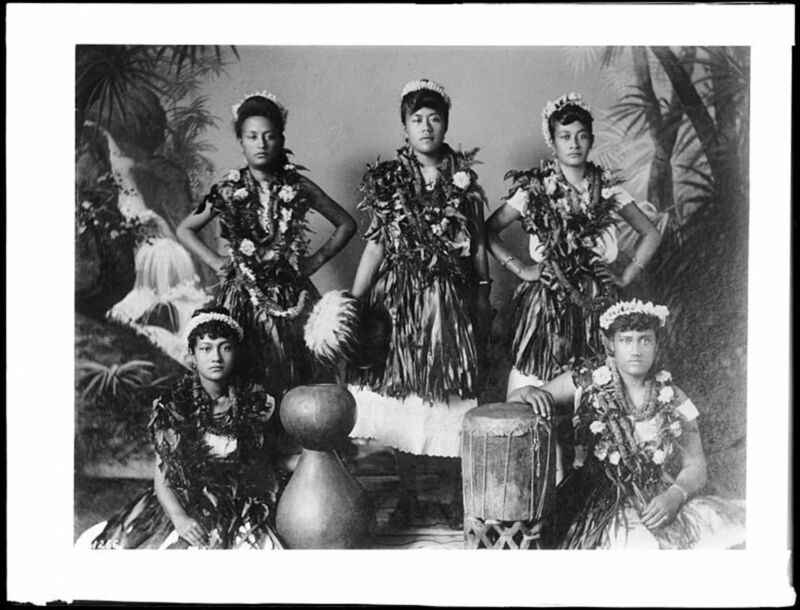 Songs for hula ʻauana are those composed from the mid-19th century to the present day. 2. It Honors King Kalākaua, a.k.a. the Merrie Monarch. 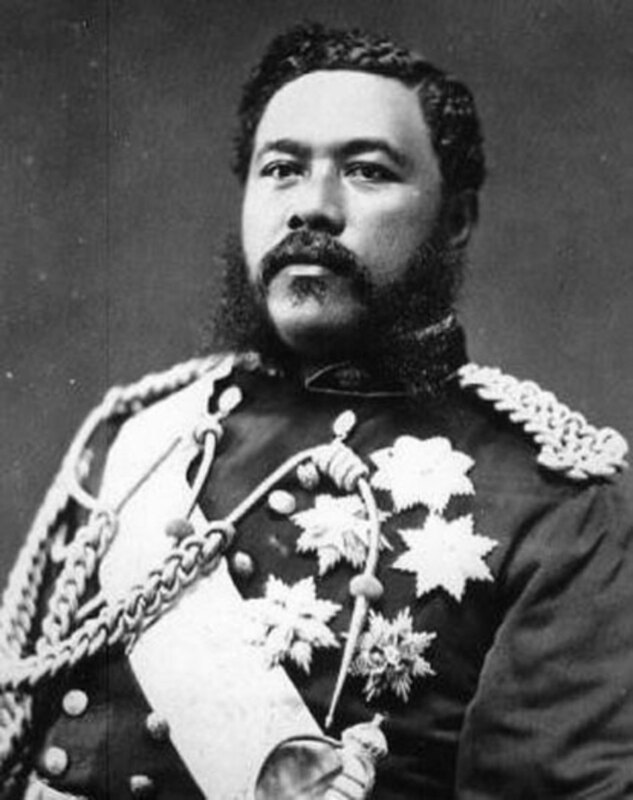 The Merrie Monarch Festival is dedicated to the memory of King David Kalākaua (1836-1891)—the last reigning king of the Kingdom of Hawaiʻi. He is fondly dubbed the Merrie Monarch because of his drive to restore the Hawaiian culture. He particularly loved song, dance, and the performing arts. He lived during a time when Hawaiian culture was being subjugated by foreign influences, especially the hula, which had long been met with disapproval by Christian missionaries. In response, Kalākaua worked to revive and preserve the art of chanting and hula. He held grand celebrations where the Hawaiian people could once again be proud of their song and dance traditions. But Kalākaua was not a man who spent his time worrying about the past. He valued new art forms and modern music and actively promoted the strange new instrument that had come to Hawaiʻi with Portuguese plantation workers. Hawaiians called it the "ukulele," and it is synonymous with Hawaiian music today. Kalākaua was also the founder of Honolulu Magazine, a sophisticated publication that covers the best of Honolulu and Hawaiʻi's people, arts, culture, politics, and island lifestyle. Along with perpetuating Hawaiian culture, Kalākaua strove to bring his nation into the approaching 20th century. He was the first reigning monarch anywhere to travel around the world. On his way to Europe in 1881, he even stopped in New York to meet with inventor Thomas Edison to see the newfangled "incandescent lamp." 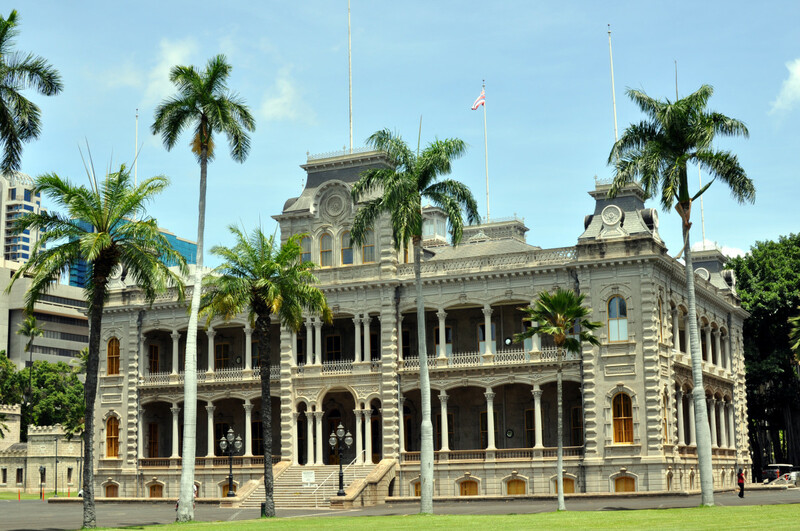 Fresh back from his global trek, Kalākaua commissioned the building of ʻIolani Palace, designed to be reminiscent of the palaces he had visited in Europe. In 1886, Kalākaua had electricity installed in the palace, four years before it was installed in Washington D.C.'s White House. 'Iolani Palace is the only royal palace in the United States. 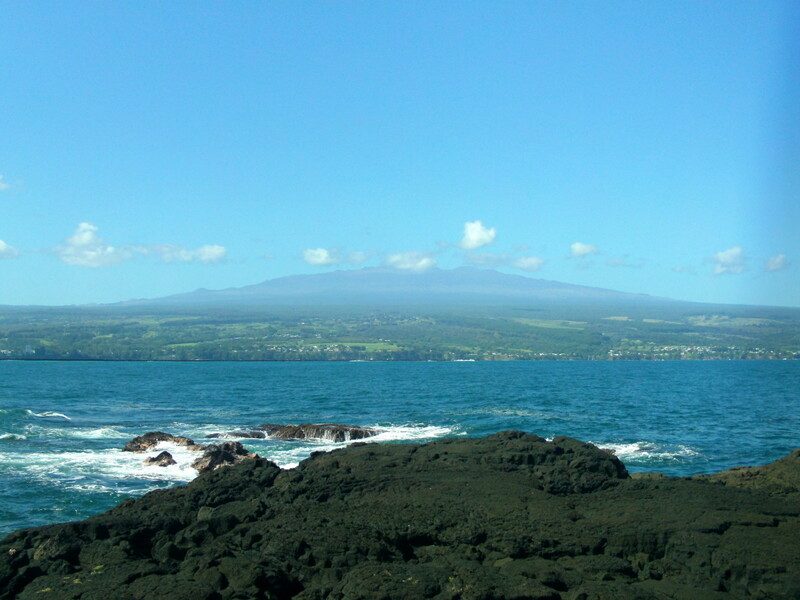 Okay, I was born in Hilo, so I'm biased, but there really is something special about it. 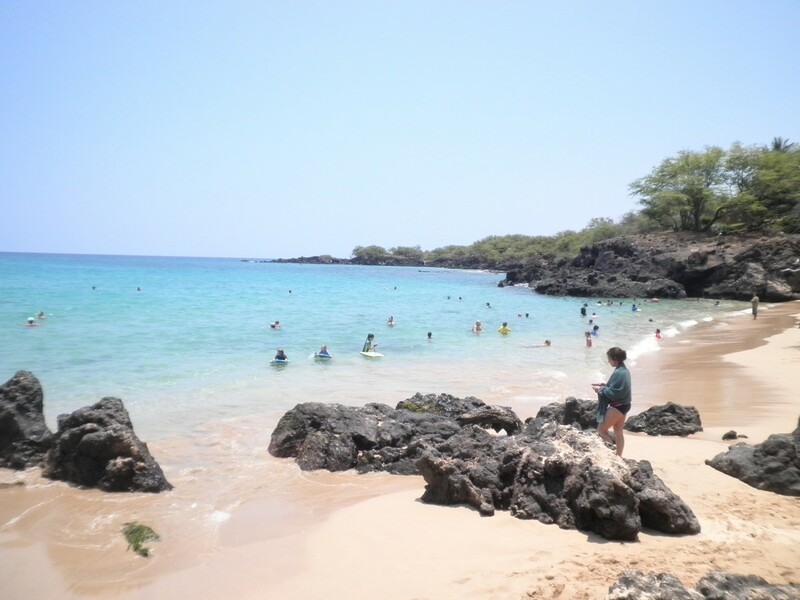 This beautiful little seaside town on the Big Island of Hawaiʻi boasts lots of green space thanks to the rain that keeps everything moist and lush. Lying at the foot of majestic Mauna Kea, the town's population easily doubles during Merrie Monarch Week. There are hula performances at all of the hotels in town during lunch hour, and shoppers keep the local stores and arts and crafts fairs busy. Dance performances for the Festival begin on Wednesday night when the free Hō‛ike is held. This is a favorite for local residents; it's a night where hula is performed for fun and there are no competitions. After work, people rush to stand in long lines to get in, and there's no need to make dinner that night. Just get something on the way in. Choose from Hawaiian laulau and poi, chili and rice, or spam musubi—whatever suits your taste! 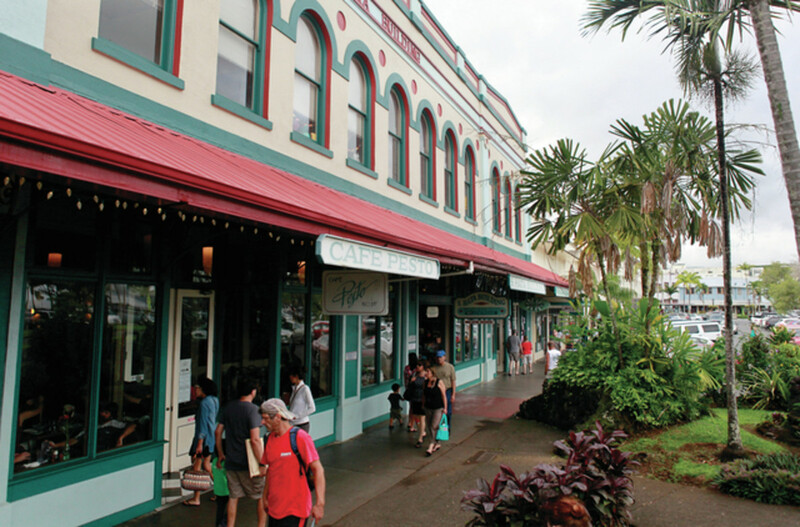 In January 2014, Downtown Hilo was one of 20 places nationwide chosen by the Benjamin Moore Paint Company to get a "paint job" as part of its Main Street Matters contest. This isn't Hollywood hula. This is the real deal—the most authentic hula you'll see anywhere. To keep it that way, the competition has judges. These seven men and women have been steeped in Hawaiian culture and understand the Hawaiian language, and most are long-time kumu hula(hula teachers). They are not paid to be judges, although their accommodations and airfare are covered by the Merrie Monarch Festival. The judges sit at ground level right at the front edge of the stage, the perfect vantage point from which to study everything about the dance performances. Scorecards are picked up after each hālau performs, and even the judges don't know the final outcome until the awards are given out on the final night of the competition. Using these criteria, viewers at home can score the groups to see if they can pick the winners. I've tried, but I've never been able to match the judges' picks. 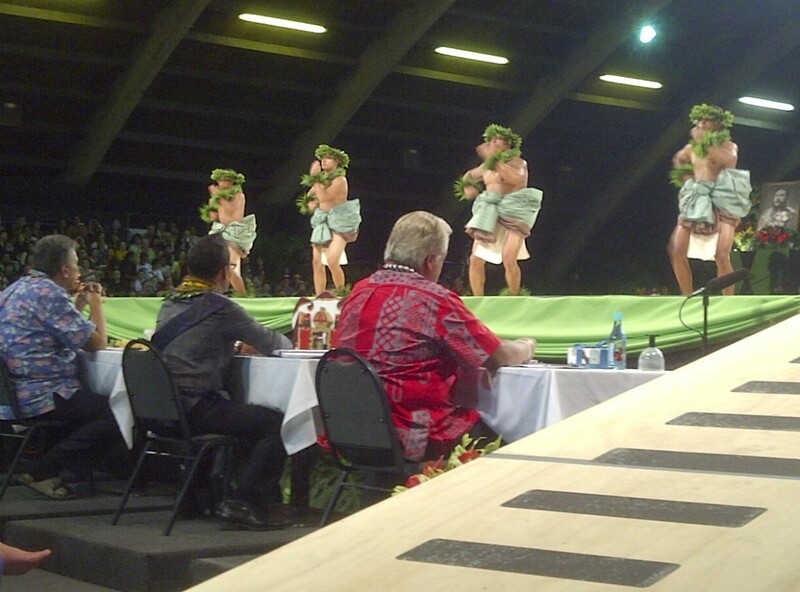 From now on I think I'll let the judges do their work so I can just sit back and enjoy the hula performances. There are usually seven judges who get stage-side seats to score the performances. 5. The Flowers Are Amazing! Whenever I get off the plane in Hilo, my first breath inhales a warm, sweet smell—a mix of the rains and the flowers that bloom wherever seed and soil meet. You don't need a green thumb in Hilo; Mother Earth does the work for you. 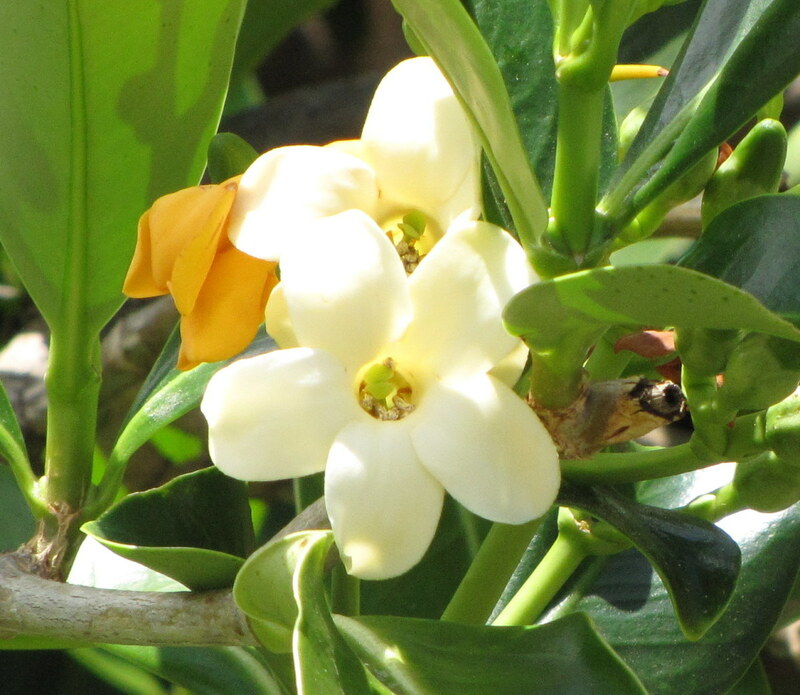 During Merrie Monarch Week, the smell of flowers and sweet-smelling greenery permeates the air. Plumeria, tuberose, puakenikeni, orchid, maile, ohiʻa lehua, ʻilima, ginger, and many other tropical flowers and plants adorn both dancers and audience members. 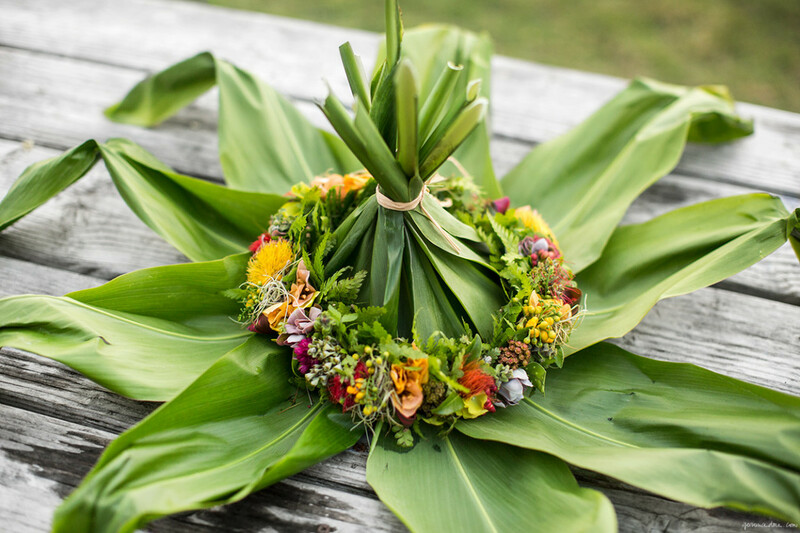 Hula hālau often go out into the forests and remote areas in and around Hilo to gather leaves and flowers that are traditionally used in hula. Then they spend their pre-performance days stringing leis and adornments. Sadly, there is a plant disease that is affecting our native ohiʻa forests. This disease is called "rapid ohiʻa death" or "ohiʻa wilt." 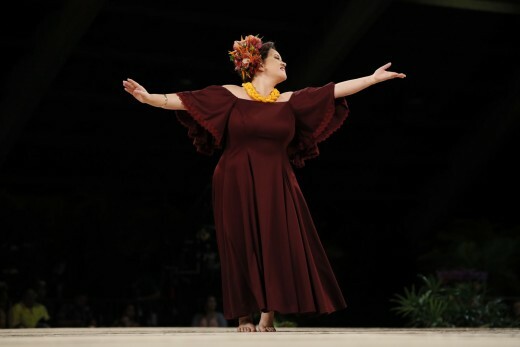 Consequently, there will be no ohiʻa lehua at the Merrie Monarch this year, because kumu are being asked to keep their gathering activities away from the native forests. 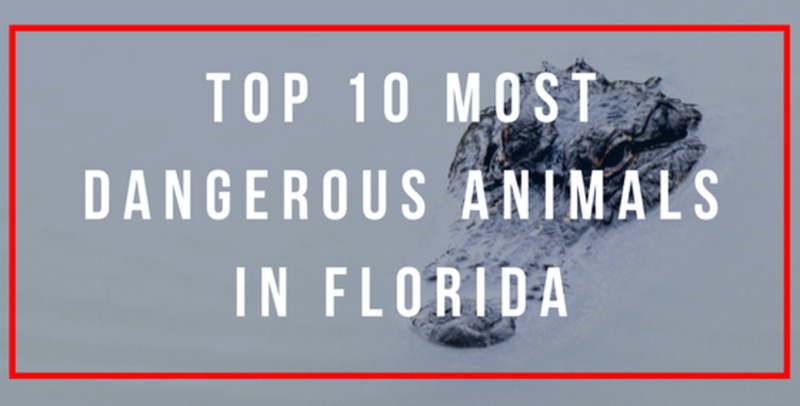 The fungal disease can be tracked on shoes and clothing, and we don't want the disease to spread to other islands. I hope that next year I'll have some good news, and the ohi'a forests will be regaining their health. 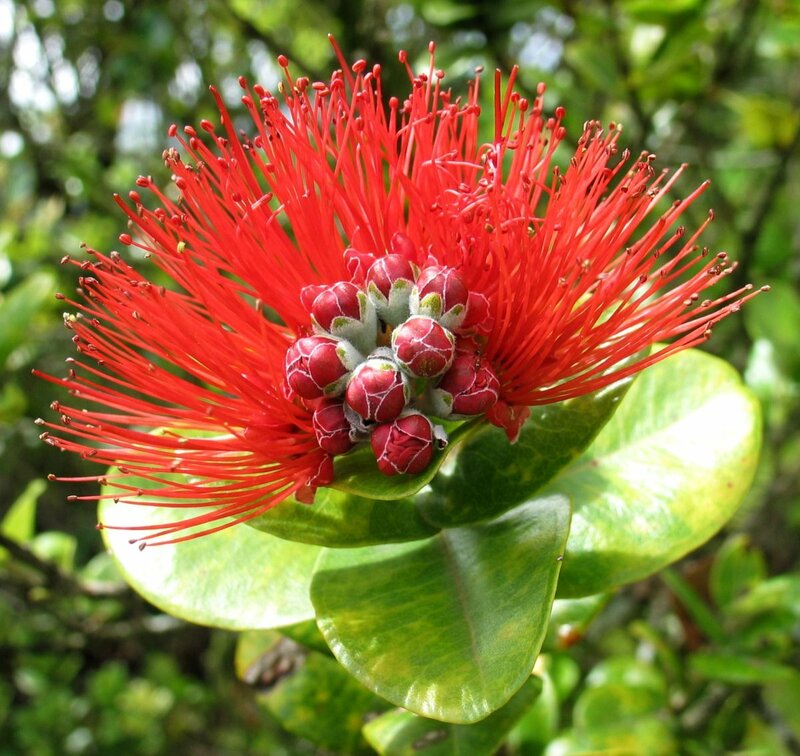 This is the ohi'a lehua flower that will be missing from the Merrie Monarch adornments until the fungal disease affecting them has been extinguished. 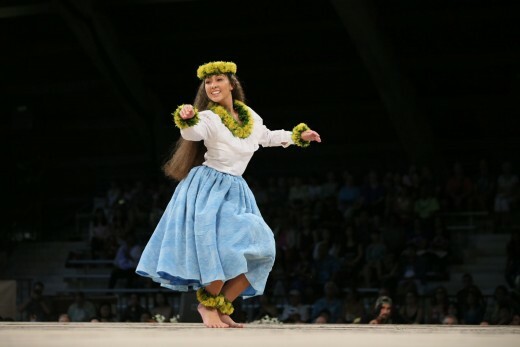 On Thursday night of Merrie Monarch Week, the Miss Aloha Hula competition is held. 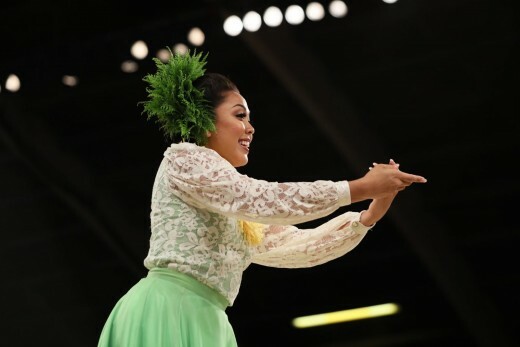 This is the first night that the dance performances are televised, and throughout Hawaiʻi, people are glued to their TV sets (or DVRs are whirring) as the Miss Aloha Hula Competition (Thursday), Hula Kahiko performance (Friday), and Hula ʻAuana performance (Saturday) grace their screens. Each Hula Hālau chooses their most skilled dancer to enter the Miss Aloha Hula contest. Usually, about a dozen women are chosen to compete in this solo competition. Each dancer performs both a hula kahiko and hula ʻauana, and at the end of the night, a new Miss Aloha Hula is crowned. Many of those who have won this contest have gone on to become kuma hula (hula teachers) themselves, beginning with the late Kumu Hula Aloha Dalire, who was the first Miss Aloha Hula in 1971. Kumu Hula Aloha Dalire's award-winning hālau, Keolalaulani Hālau ‘Olapa o Laka, trained several generations of dancers and is now led by her daughter, Keola Dalire. Miss Aloha Hula is not a beauty contest like Miss America or Miss Universe, though all the competitors are beautiful. The women in Miss Aloha Hula are judged solely on their hula performances and the spirit/body connection they evoke while dancing. 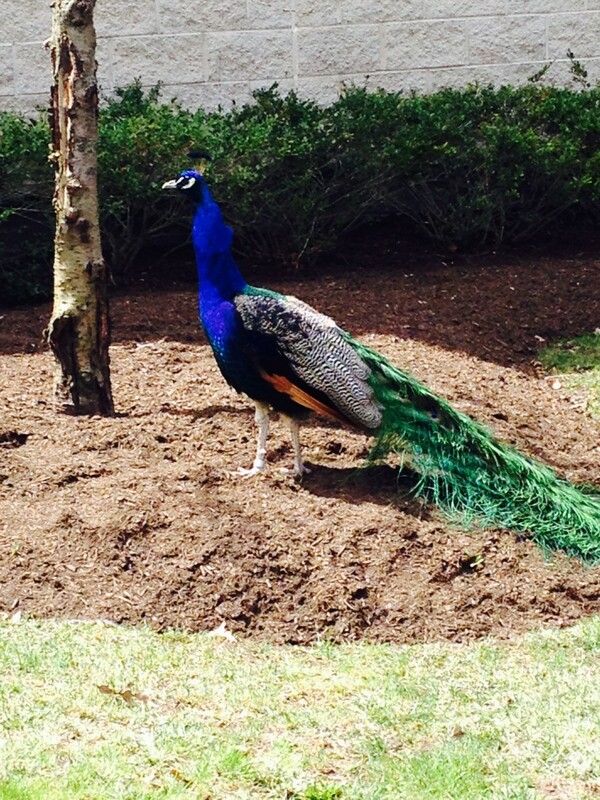 I have seen winners ranging from petite size 2 women to 200-pound beauties. The stereotypical Western standards of beauty and body image simply don't count here, and we like it that way. 7. And so Are the Men! Five years after the hula competition started in 1971, male hālau were invited to enter as well. Each kuma hula decides whether they will teach hula to women (wahine), men (kāne), or both. Kuma hula can enter their best men and women into the contests, but the sexes don't mix during performances (although men and women dance hula together all the time at family and community events). The men often spice up the competition with their hula kahiko performances, and they are always a crowd pleaser. Many male kumu hula teach at hālau that have won in both the male and female divisions. Kealiʻi Reichel, Manu Boyd, Sonny Ching, and Johnny Lum Ho are a few of the male kumu hula who have had their women and men bring home the winning prizes. Shoppers beware! You'll spend tons of money during Merrie Monarch Week. You simply won't see Arts and Crafts Fairs like these anywhere else. Not only is there an official Merrie Monarch Invitational Hawaiian Arts Fair held at the Afook-Chinen Civic Auditorium, but you can't turn a corner anywhere in Hilo without seeing Hawaiian arts and crafts for sale. They're everywhere—from downtown Hilo and Prince Kuhio Plaza to churches, community centers, and farmers markets. There are also official Merrie Monarch T-shirts, event programs, tote bags, and posters that command a high price as collectors' items after the festival ends each year. 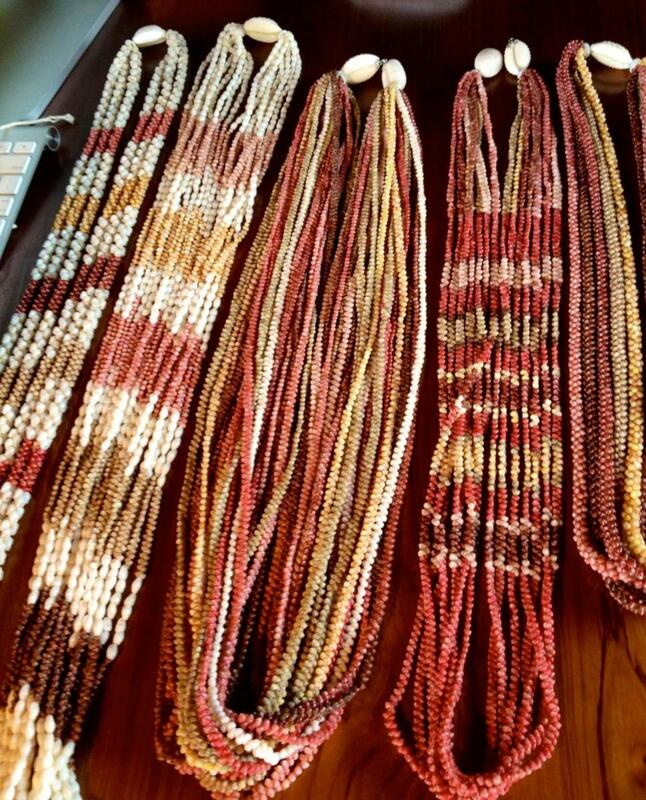 Sought-after items at the arts and crafts fairs are lauhala hats and bags, handmade kapa fabric, poi pounders, wall art, jewelry—including the prized Niʻihau shell leis—and Hawaiian home décor. The ipu, or gourds, used as musical instruments for hula are also sold at the craft markets. If you plan to attend the Merrie Monarch next year, start saving money now, because you won't be able to leave Hilo without spending a pretty penny at the craft fairs and loving every minute of it. Lei pūpū o Ni'ihau or Ni'ihau shell leis are prized for their rarity. 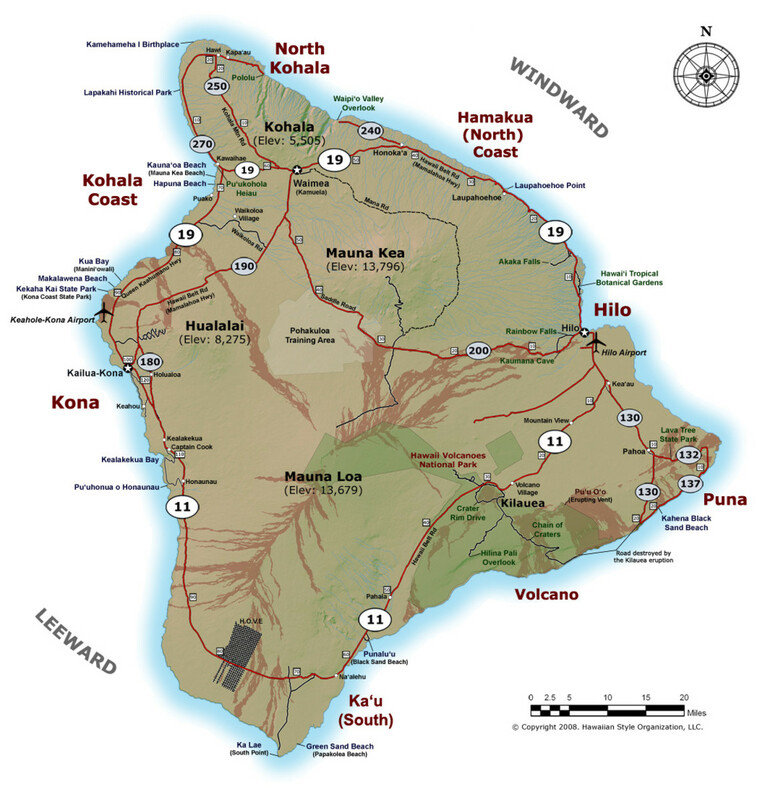 Each lei holds thousands of the tiny shells that are only found on the island of Ni'ihau. 9. The Merrie Monarch Parade Is a Must-See! Tensions rise during Merrie Monarch Week as the Miss Aloha Hula winner is crowned on Thursday and Hula Kahiko competitions are completed on Friday night. 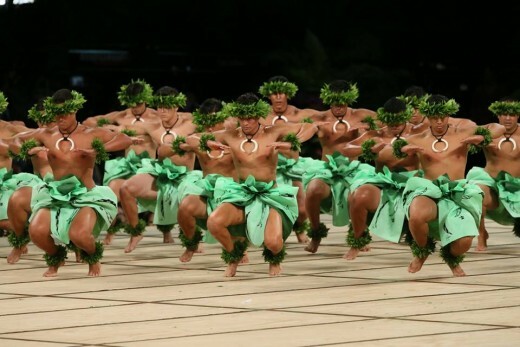 With everyone excitedly waiting for the final night of Hula ʻAuana performances on Saturday night, the Merrie Monarch Royal Parade on Saturday morning comes as a welcome break in competition. During the parade, marching bands, the Royal Court (complete with an honorary King and Queen depicting King Kalākaua and his Queen Kapiʻolani), the new Miss Aloha Hula in a convertible, Hawaiian entertainers on floats, and the mainstay of any Hawaiian parade—pāʻū riders—all wind through downtown Hilo at a leisurely pace. 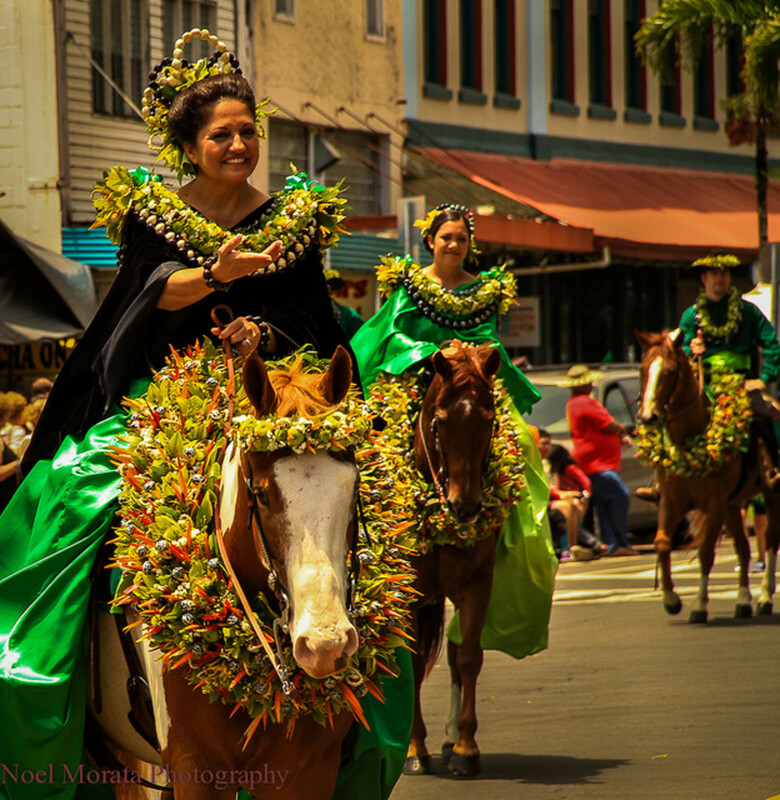 Pāʻū riders are women on horseback dressed in flowing satin gowns that almost reach the ground. Each Hawaiian island is associated with a distinct color that comes from its most abundant flower. In Hawaiian parades, each island is represented by that color with a host of pāʻū riders dressed in matching costumes. Even the horses are decked out with elaborately woven haku lei. 10. It Starts on Easter Sunday. I'm not sure when the festival decided on its Easter Sunday start, but it's been that way for a long time. But isn't it a little ironic that the world's premier hula festival begins its weeklong celebration on the holiest of Christian days? Especially seeing as the missionaries who came to preach the gospel to the Hawaiians in the 19th century abhorred the hula and forced it underground to the point that Kalākaua felt inspired to bring it into the light once again. And bring it into the light he did. 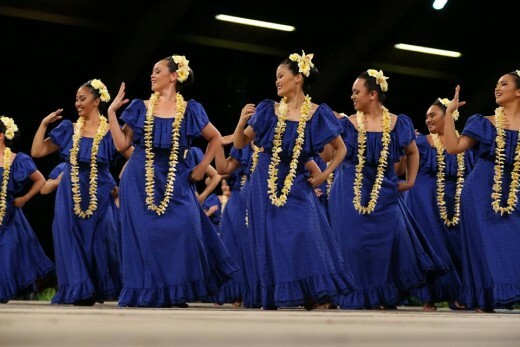 Most Hawaiians are Christian today, but even though the Easter Sunday Hoʻolauleʻa begins after most people return from church, the Merrie Monarch Festival isn't about Christianity; it's about the hula, and it always was. Want to Experience the Festival From Home? I have bought these DVD sets for several years, and they are a great way to relive the Festival. They also make a thoughtful gift for the hula student or lover of hula traditions. What I like most about these DVDs is that they cover the entire Festival over the course of three days. You won't miss a moment beginning with the Miss Aloha Hula competition on Thursday night of the Festival.There are also behind-the-scenes clips you'll never see on TV. The DVDs are professionally produced and are so much better than trying to hunt down footage on YouTube or watching someone else's cellphone video. Plus, for those of us who love hula, it's wonderful to be able to watch dozens of performances and practice hula in the privacy of your home. 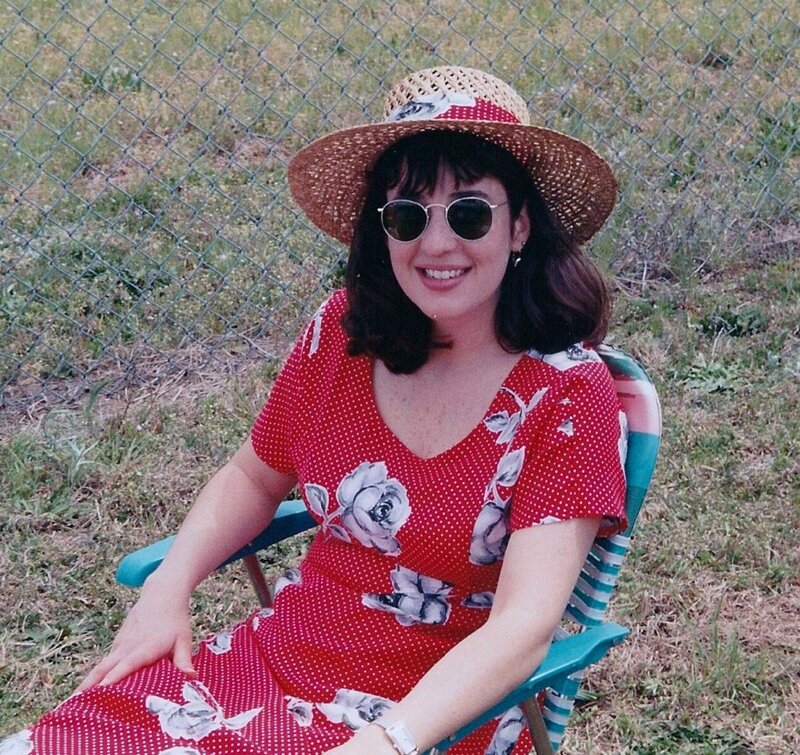 This is a wonderful article Stephanie - I can definitely see myself in Hawaii for this wonderful festival. Thank you for your kind comments on my hub. What a lively place you live in. Love reading about exotic festivals like the Merrie Monarch. Voted up. Great hub, I haven't been to Hawaii yet - hopefully when I do I'll aim for the Merrie Monarch Festival. After reading this hub and looking at the photo's I almost feel like I was there with you. Thanks for the fantastic hub! The festival is definitely on my bucket list especially since my cousin, Uncle George Holokai was a noted kumu hula. 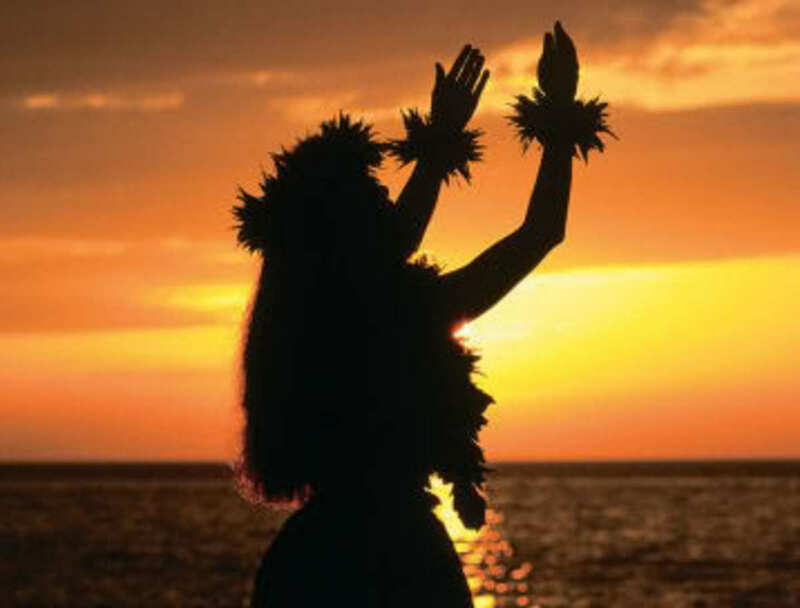 Hula is a Hawaiian tradition and art form that has endured over the years. Thanks Stephanie! I will make it there some day.